After looking at the map this am I decided to not drive all the way to Phoenix today. 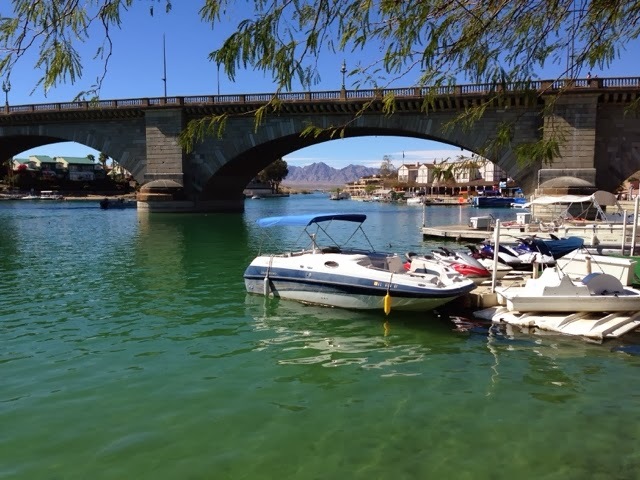 My goal for the day was to drive to see the London Bridge in Lake Havasu City, AZ and amp at the state park on the lake knowing that it was only a slight chance they would have an opening. 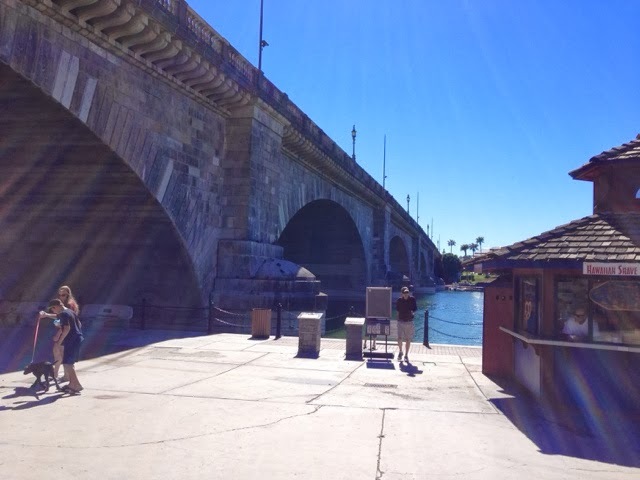 The London Bridge was sold to Lake Havasu City in the late 60's for about $2.5M and another $4.5M to transport and rebuild in its new home. Leaving the campground it was a sunny mild dry morning. 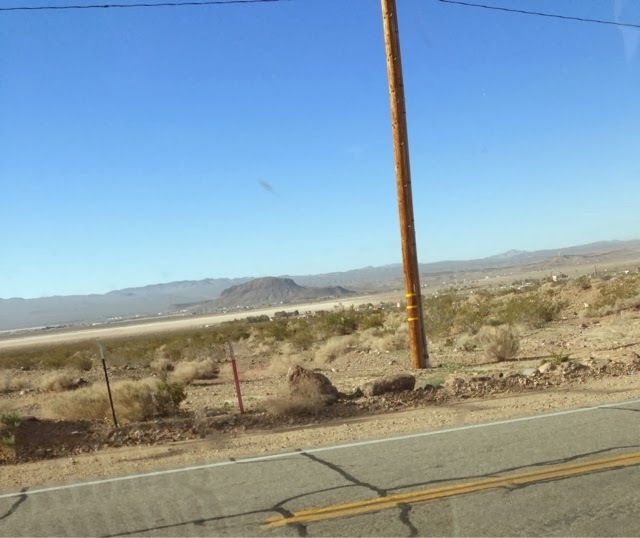 I was up and on the road through the desert leaving Barstow and stopping in Needles, CA on the border of AZ. My stop was of choice to McDonalds for phone and IPad syncing. The trip is just under 200 miles and about 3 hours. 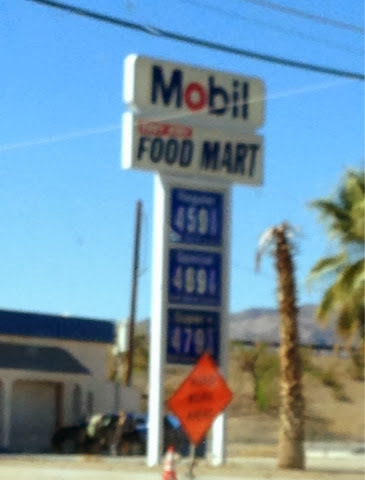 While at Needles I saw the highest price had of the trip at $4.59 for regular. 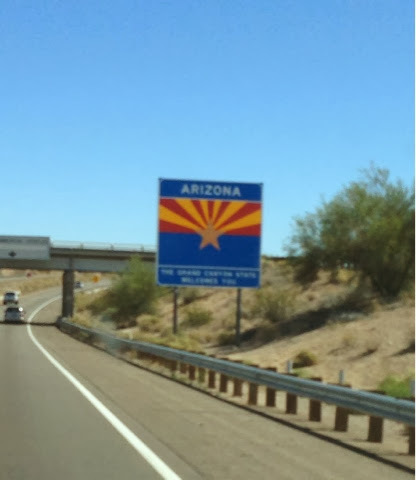 Just 21 miles east on I40 you get off the first exit in AZ. I stopped at this station knowing that it would be cheaper here than CA. That sign says $3.25. 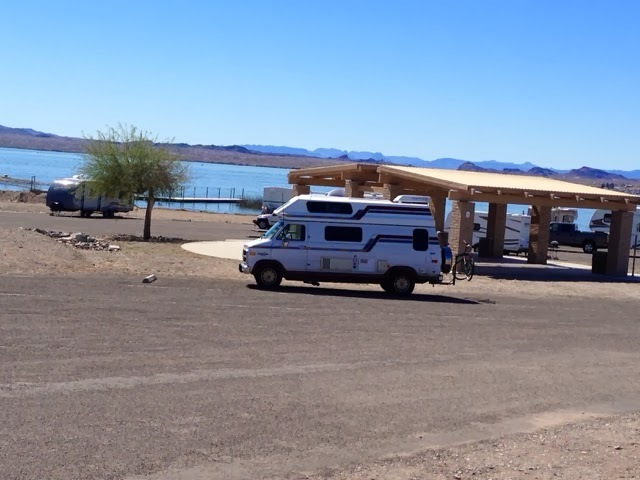 After gas it was a short trip south to Lake Havasu City and my stop at the State Park downtown at the lake. I waited in line and got to the booth and the sign said "camping full". A woman with a wide smile said hi and I said I wanted to camp but I guess the sign tells all. She said unless you want to dry camp in the overflow area to your right. 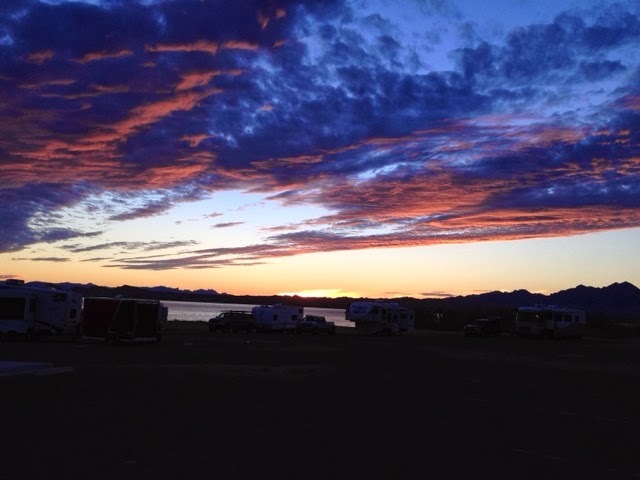 "Go check it out and if you want to stay it is $20 per night and that includes use of the dumping station and filling up on water." I drove down and looked around and decided I would stay as the bathroom was great and had nice showers. I will just have to run off of battery and if I need to I can run the generator for 20 minutes a day and I am good. Picking the spot next to the pavilion gave me shade as it was in the 80's today. 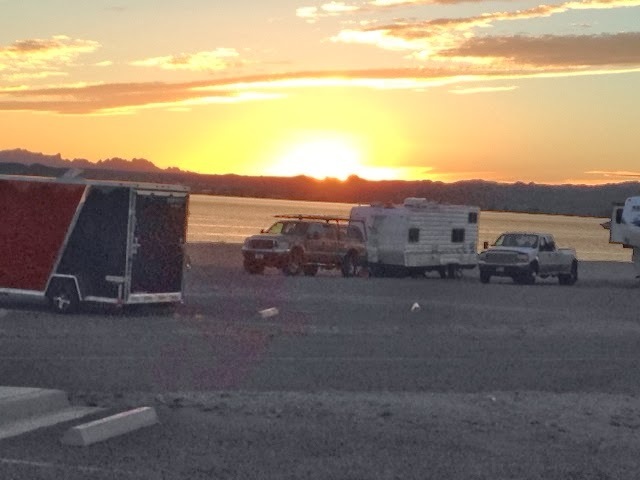 I don't have an awning on the camper. I'm sorry to everyone at home for mentioning the temperature. 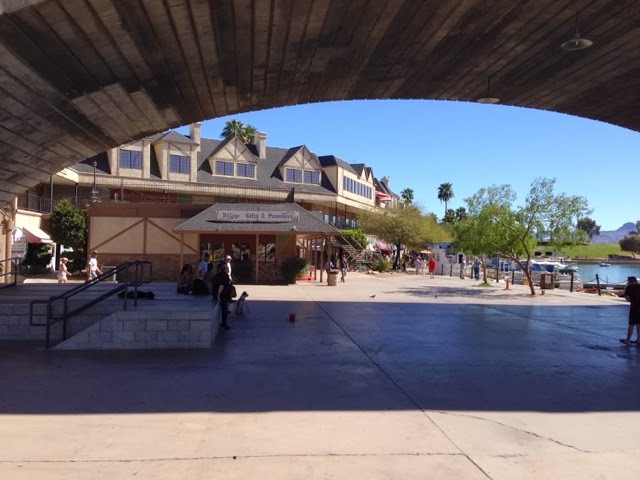 After checking in I then got on my bike and rode to the London Bridge 2.5 miles away after biking the 2 mile long road in the park. 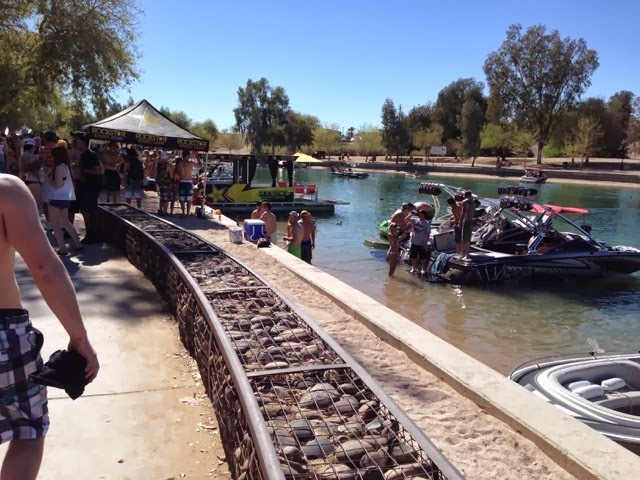 I didn't realize that it was spring break week and there were many young men and woman along the water that goes under the bridge. A view looking north from the top of the bridge. 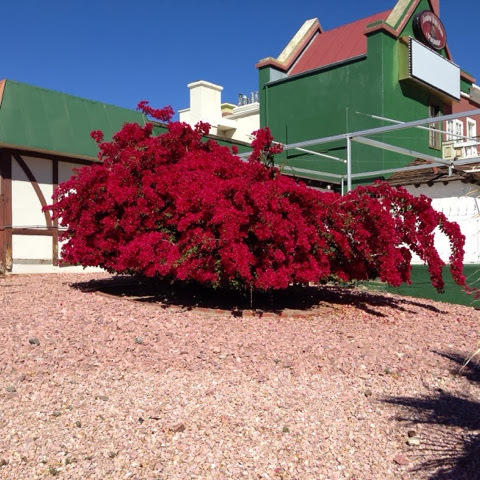 A beautiful bush in bloom. After leaving the bridge area I made dinner and then went for a 6 mile bike ride in the other direction. 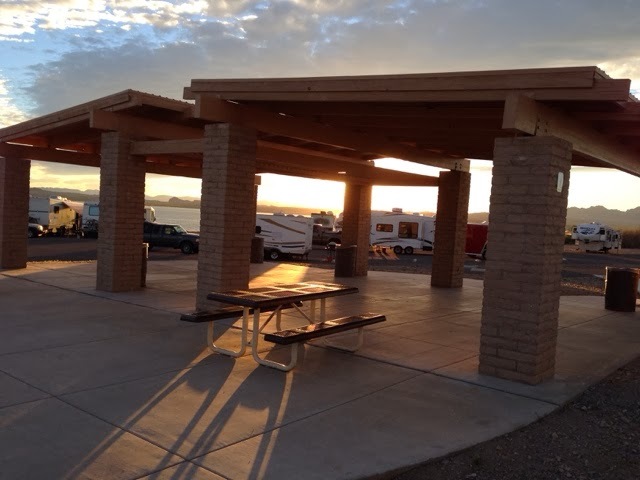 Picture of pavilion from camper. This morning was the half-way point of my trip. Denise keeps telling me that Im enjoying my trip so much that she wonders if I will ever come home. The answer is I will be home the end of April. I enjoy New England in the spring, summer, and fall. There are a number of things I want to work on once I get back, but there are already plans for a couple of trips to see family after I get home. When I talked to Denise today she said says winter is not done yet with more snow storm predicted this week. This does not make me want to return home yet. The rest of my trip tentatively looks like this. Meet up with niece Brianna Saturday in Phoenix to take her around the here for her spring break from UMass Amherst. Next week we will be at Las Vegas and the Grand Canyon to name a couple. Then I have a few weeks to travel as I choose then make my way back to CA when Clayton comes home. After that I will start my cross country trip home. Wow, that first gas price is CRAZY! Good thing you didn't have to stop there. 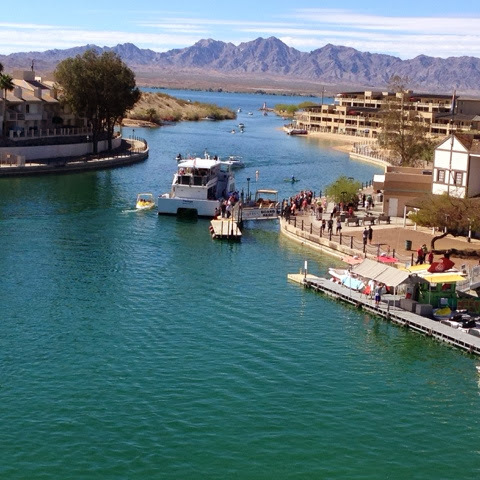 Lake Havasu looks really beautiful! It was in the 20's here today....enjoy your warm weather! California is like Connecticut when it comes to gas - get it before you go in and after you leave. Sam was an absolute great!